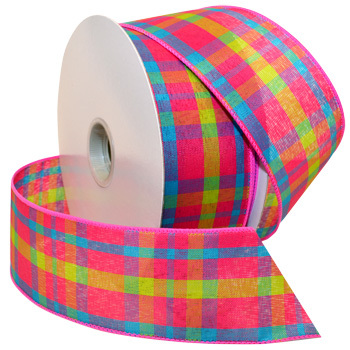 1 1/2in and 2 1/2in wide wired twill ribbon woven into bright plaids. Rustic-feel with custom Morex trend color combinations, excellent for bows and craft or floral projects. 100% Polyester. Wired. *New color! 042 Red/White/Aqua available now!